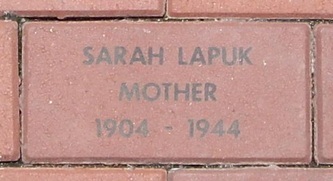 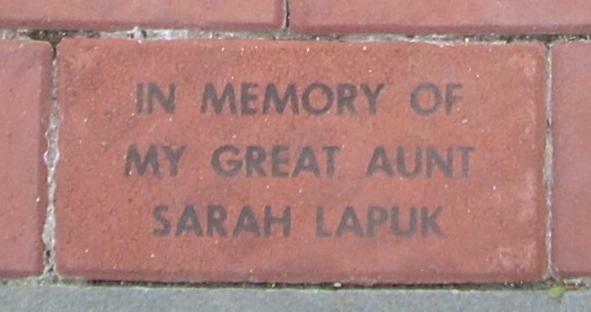 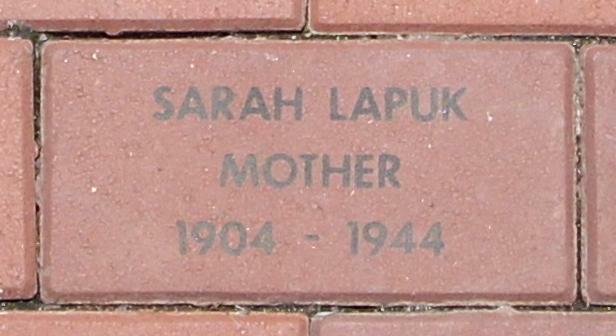 Mrs. Sarah "Sally" (Israel) Lapuk of 240 Cornwall Street, Hartford, was born in 1904 in Russia/Poland, daughter of Mr. and Mrs. Mayer Israel. Sarah was found seriously injured at the circus grounds after the fire on July 6 and was admitted to Municipal Hospital for treatment. 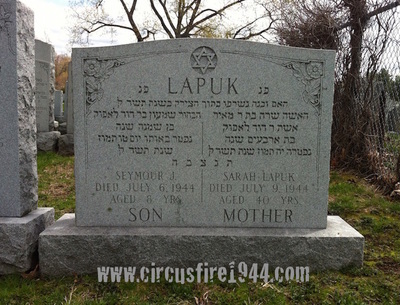 Despite supportive efforts of the hospital staff, she passed away during the afternoon of July 9 and was buried at the Ludmir Young Men's Benevolent Association Cemetery after services at the Weinstein Funeral Home. 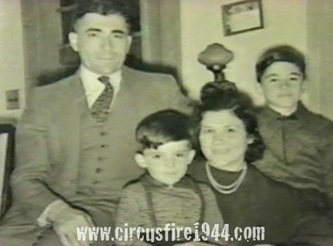 Mrs. Lapuk leaves her husband, David, 45; their son Marvin, 13, who survived the circus fire; her sister, Mrs. Mary Misky; and six brothers: Martin, Max, Hyman, Samuel, Aaron and Harry Israel. The Lapuk's youngest son, Seymour, 8, was also a victim of the circus fire. Sarah's estate was awarded $11,000 by the arbitration board.